We arrived in Lusaka last night with no luggage to a country without electricity. Feeling out of sorts, driving on the left side of the road, we arrived to the place we call home for the next three weeks. We finally put our heads down around 1am and woke up to a phone call from Megan saying she would be there to pick us up in 5 minutes. Feeling completely jetlagged yet excited, we got a jolt of adrenaline and started our day. We thought we would be taking it easy our first day, but little did we know, we had a fun filled exciting day full of new experiences and new friendships. With the help of a coffee at the local coffee shop, we left to go to the Arise Home. 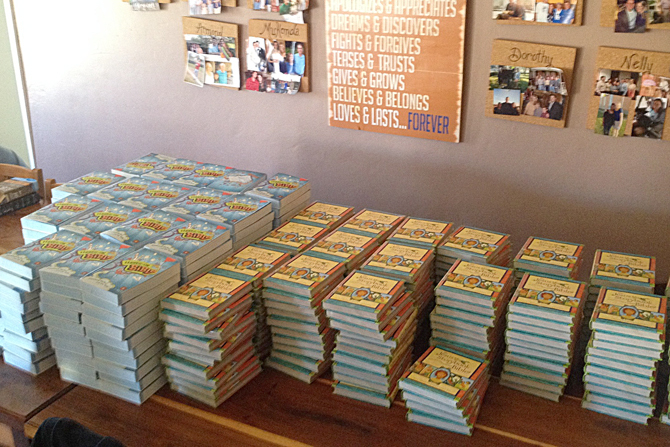 We arrived to a new shipment of kids Bibles that were donated to Arise Africa for their sponsorship program. We sorted them and got them numbered and repacked and delivered to the two community schools Arise partners with. These Bibles will be used in their weekly Bible clubs. We left the Arise Home and started off for the compound, or slum called Matero. We didn’t know what to expect. The roads were bumpy and had massive, crater like holes. There were markets full of people really trying to sell their goods to make their daily wage and women balancing a baby on their back and a basket on their head. Through the hustle and bustle of it all, we arrived at Destiny Community School. We were met with huge hugs, smiles and a flurry of energy. The kids were all different ages. All running up to us and we all felt completely overwhelmed with love. Today we got a taste of what we will experience over the next three weeks. We are so happy and excited to be in Lusaka to serve the Lord! We got home and had dinner and chatted about our day and got the phone call that our luggage arrived!